Do you know anything about this topic: What are the types of Human Hair? Which I will mention below, I think it can help you gain some knowledge…Human hair extensions are worn by women worldwide. They also are in high demand. This means that the prices for human hair extensions are high. So everyone is selling them to get money. Women like wearing human hair extensions because it can make them become more beautiful like they have a new face. And certainly, the texture blends well with their own hair and it lasts longer. However, with the overwhelming amount of online stores selling human hair extensions, you may want to know whether there are many types of human hair extensions and not all are created equal like we used to think. When it comes to hair extensions, there is a lot of things to learn. So it is really important to know that not all hair extensions are human hair, even when they claim to be. 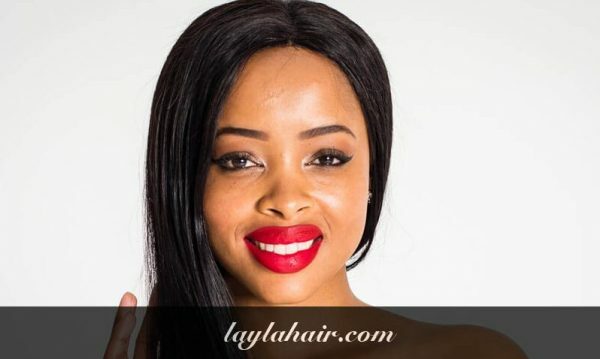 Some online hair extension companies will mix animal hair or synthetic hair in what they call “Human hair extensions” to save on costs, it means this hair tends to be sold for a cheaper amount and will usually fall apart within weeks of wear. In addition, high-quality human hair is expensive and tends to last longer with proper care. You can be sure when you buy for yourself a human hair extension from a reputable company that sources hair ethically and has high-quality hair. At present, assuming that you are getting human hair extensions, there are three types of human hair extensions to choose from. Each level of hair does provide a different experience while wearing the hair extensions. There is a lot of things to learn when it comes to human hair extensions already. Such as: maybe you know virgin and Remy hair are two different types of hair extensions. It also has non Remy hair. There is rarely such things as Brazilian hair and Peruvian hair because there are made up terms. I know the certain thing is the list goes on and on in the future. Virgin hair Extensions is 100% real hair person that has never been altered by a chemical process. 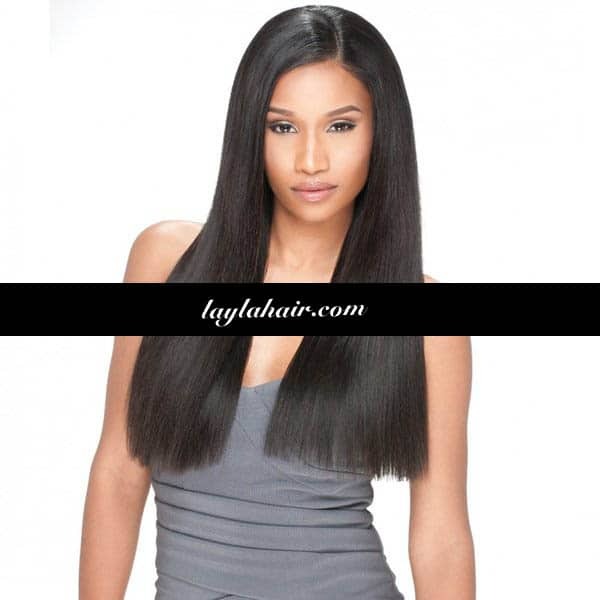 Virgin hair is the highest quality human available on the market. This hair is really expensive, but it lasts longer than Remy hair, making it worth the investment. Virgin hair collection means that when the hair is collected, it will be obtained from the donor’s hair. This means that the hair has never been chemically treated (such as no stickiness or hair color etc. ), never chemically treated, and comes from a bald man with long healthy hair. Maybe you can know that Virgin hair usually comes from young women, so no gray hair or split ends. When choosing virgin hair, the donor must have long human hair. When collecting, it is usually chosen a hand from thick, full, long ponytail. Normal long hair should last one year with regular maintenance. Moreover, they believe that if the hair is colored after being collected, that it is no longer considered “Virgin hair extensions”. That is simply not true when it comes to hair extensions. Certainly, Virgin hair means that the hair collected is virgin, healthy, and has no grays, split ends, or chemical processing at the time of collection. At present, what separates the hair extension companies is how can they process this fresh virgin hair? Virgin hair is fragile and should be processed so differently than other hair extensions to keep the hair healthy and soft like it was while being collected. Glam Seamless usually uses a 12 step processing system that uses eco-friendly ingredients and a slow color bath to color the hair, ensuring that the quality remains the same after coloring the hair. 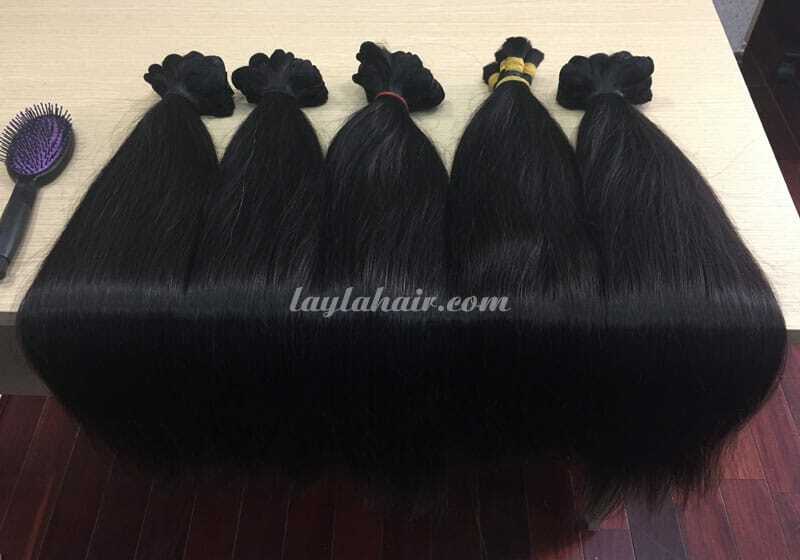 Processing of the virgin hair is most important, and a lot of companies tend to use harsh processing for faster production which shortens the lifespan of the hair extensions. Using harsh ingredients and acid baths to process the virgin hair speeds up manufacturing to produce hair faster, but the quality will get comprised. However, if the hair undergoes an eco-friendly and gentle slow process, the end result is beautiful virgin hair coated in a healthy gloss. Virgin hair can last 1 to 2 years with proper care. When it comes to virgin hair, be sure to know how the hair is processed to ensure high-quality hair. Remy Hair has features such as the direction of the outer shell, which basically means that the hair follicles all move in one direction. Remy’s hair is collected in a method in which all the hairs stay straight in the natural direction as it grows. When all the hairs are in the same direction there will be almost no tangle and matting (if properly handled). ). With high quality, the hair collected is healthy, the cuticles intact and all epidermis flows in the same direction from root to tip. This eliminates the common confusion in non-Remy hair or low quality, often Remy Human Hair Extensions. It should last for 3 to 6 months with regular maintenance. Non-Remy hair is usually taken from the floors of temples, salons, and casual suppliers. With this method of collection, the direction of the epidermis becomes mixed, causing the inevitable trouble. The problem is tangled and worn out. To hide the problems that arise with non-wigs, hair suppliers will use harsh chemicals to cut the epidermis completely and then use a large amount of silicone to get the hair back. shod be soft and smooth. The hair was soft and soft at first, however, after a few pieces of washing, the silicone was smelly and the hair was crunchy, beginning to grow and tangling. Problems will arise with non-hair after several pieces of washing and will not last longer than a few Washes and cannot be used again. In addition, because the epidermis is stripped and not intact, the hair extensions cannot withstand color or heat treatment. Vietnam human hair is a very famous hair manufactory that sells hair over 10 years in Vietnam, and over 4 years on aliexpress, mainly sells hair products 100% man hair. Vietnam human hair is always focused on providing the best hair quality and best service to every customer! So far, it has been more than 1.2000 good reviews from buyers, and sells more than 1,000 bundles of hair every day to different countries! All of these can make every customer become a star, shine everywhere! Today we are going to find several pieces of information about Vietnam human hair and the best way you can change your hair by wigs. So have you ever heard about the best Vietnam human hair? We all know: most people say that Vietnamese hair by wholesale hair extensions manufacturer is the most beautiful hairs in the world!!! We have many close relationships with a network of hundreds of human hair collectors in Vietnam. It is the reason why we are becoming one of the biggest collection points for human hair in Vietnam. We are also a direct manufacturer for all kind of hair extensions products. 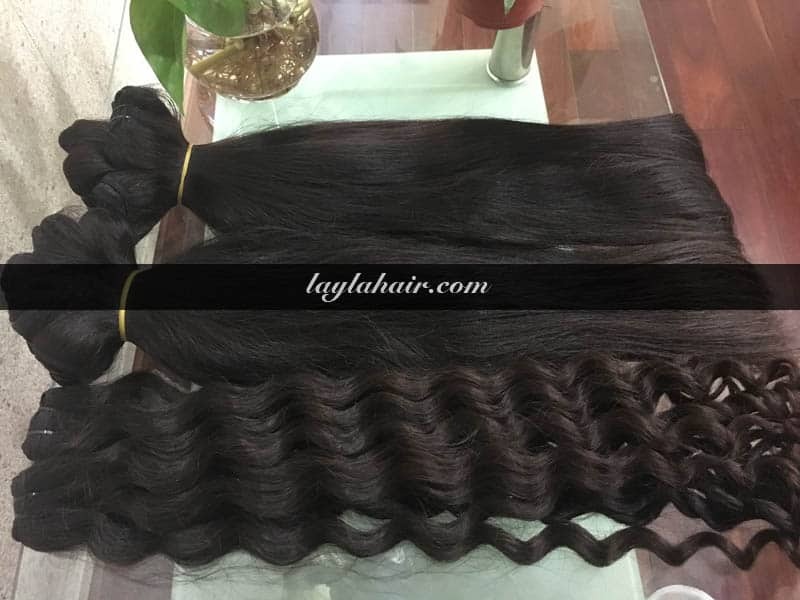 So, we are qualified to ensure the ability to supply a large quantity of human hair with the best quality and competitive price as we can do at present and in the future. At present, we are exporting to the market of Thailand, Angola, Europe, America, India… with total quantity up to 3000kg every month. Though so, we never stop growing our collection system and still continuing to explore new markets around the world every day to make it better. As you know, that geographical features, environment, lifestyles, cultural habits… will really affect to hair characteristic. That is the reason which makes Vietnamese hair become also one of them. Thick hair is big hair fiber, it is stronger hair. This hair is often cut in Vietnam countryside, other areas and most popular of Vietnamese hair. 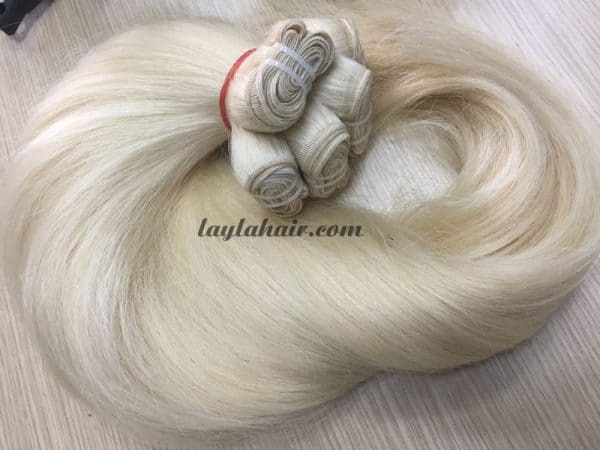 Thick – silk hair is shining, silky and heavier than other Vietnamese hair, its texture is often round and hair flake to be tighter so It is very strong. With this hair, you can use chemical or heat to make wavy or curly without damage your quality hair extensions but when you use a chemical to process it, you should use more time and chemical to do it. Its color is often natural black, few light end color…you can use it for wigs or hair extensions right without any processing more. 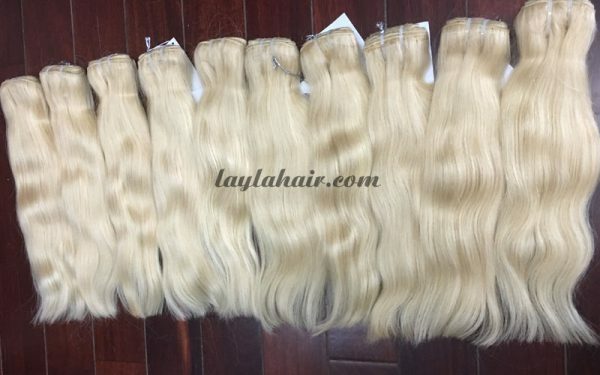 If in the case with the weave thick silky hair, I advise that you should choose single weft line to make wigs as single weft line is thinner than Double weft line. It is enough strong for your wigs and also easy for you to set up wigs or hair extensions… It is super wonderful! Then, we will move another matter about color hair… Even with color, Vietnamese hair is quite resilient and doesn’t dry out as easily as other hair types. However, you should still use a good conditioning treatment after coloring. So: How to Ombre Hair If you have Vietnamese virgin hair? Firstly, you should choose a shade of permanent hair color that is two (or three levels max) lighter than your natural color. Remember that: Stay away from anything too blonde and stick with a warm, tone-on-tone color as you think. Next, part your hair in four sections like this: Divide it from ear to ear and from the middle of your forehead to the middle of the nape of your neck, use elastic bands, section off the last third of the hair length at the ends in each section hair. Apply the color to the sectioned offends and let it sit for approximately 20 minutes. Then spread the color an inch above the pre-sectioned spot, where the elastic bands used to be. Take your time to need a seamless transition from dark to light. Once you’re happy with the blending, let the color sit for another 10 minutes. Finally, wash your hair, condition, and style as normal…to make it clean. If your hair already has a dark permanent dye in it, I suggest seeing a professional’s advice before you make. Colour can not lift color. So you don’t need to worry about that. Let come to Wigs Vietnamese hair and you can get a quality human hair weave. Moreover, you will have the best-colored hair whichever color you want. To have a suitable, youthful and personalized hairstyle, it’s always the dream of many girls around the world today. In Vietnam, hair considered to be a very important part of a girl’s beauty. So How can we choose the best hairstyle helps us to cover face defects and become more confident while highlighting the natural beauty of each girl. Finding out which of your faces and choose the most beautiful hairstyle wigs, we should understand about our face. The oval face is the most perfect, suitable for all long hairstyle, short hair, curly hair, straight hair … are very suitable, prominent features are narrow forehead, small chin on the face naturally, slender to make you attractive, noble. All your hair is glorified on harmonious face then do not choose too short or masculine hairstyle will lose the inherent beauty of the face. The oval face almost fits all hairstyles Hairstyles suitable for long face. What about Long and thin faces, for a shorter and more balanced look, should not be straight, trimmed. Because of the short hairstyle, slightly hug helps your face gourd and more lovely. The hair is horizontal and hugging to feel the buoyancy and gourd for your face, cover the long chin and thin skin. Let your hair hug and bounce to create a more natural and personal feeling Hairstyles suitable for round face. As one of the most popular faces of Asian countries, people with round faces should choose long hairstyles. Special tail curls make the face feel longer and more balanced. If you choose a short shoulder-length hairstyle, choose a curly haircut or cut tail to embrace your face. Changing the image with this hair is perfectly reasonable. Choose the right hairstyle for the diamond face Diamond-shaped face with wide chin and square jaw. To choose the best hairstyle for this face, should be a curly hairstyle, curl lightly, embrace the face to feel slender. Personally, you can dye some natural or brighter color, more attractive. A light curly hair combs dye color to create a more seductive. In conclusion, change your style and make yourself more confident, more attractive in the eyes of others. Choose the most appropriate and natural hairstyle to help you stay comfortable and hide your shortcomings. Let’s call at our website so as to discover Vietnam hair.